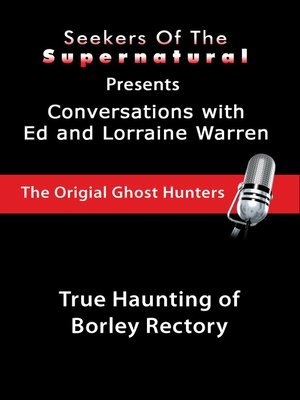 Ed and Lorraine Warren, famed demonologists, ghost busters, and experts on supernatural phenomena, relate the story of the most haunted place in Great Britain, the Borley Church and Rectory. Read and learn why the Warrens, who first visited these grounds together in 1976, continued to visit every year for their wedding anniversary for twenty-plus years. Read the story of the Borley Nun, who continues to haunt this very supernaturally active place. Ed and Lorraine Warren discuss the Borley Nun sightings, and other activity they captured on film during their visits. Told as few others could, the Warrens once again provide a unique, well-informed view of such phenomena, including what brings it about and how it manifests. The Borley Nun is said to have had an affair with a monk and was thus buried in the walls of the building. Her remains were later removed and buried in nearby Liston Churchyard. A rectory that Rev. Henry Bull built later accompanied the church, dating back to the twelfth century. Rev. Bull even built a veranda to watch the Borley Nun's famed travels to and from the church. In recounting their first visit there, the Warrens tell of sitting in the church and watching the Borley Nun enter the church and move up to the altar. Caught on film along with this is the monk that only Lorraine could see at the time, clairvoyantly. Is it the monk of the storied affair? You decide. Read this amazing story. As a bonus, the Warrens also discuss Castle Rising, a very old castle which saw first-hand the suffering of the plague, and within which Lorraine was able to clairvoyantly see the awful suffering that occurred there.